As a member of the 3,000 Hits Club, Rod Carew cards and autographed memorabilia have a niche place in the hobby. 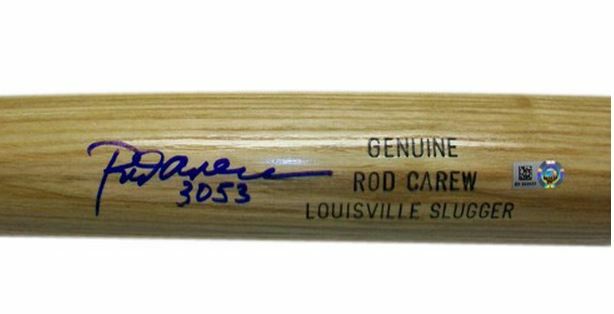 Collectors pursuing items signed by multiple members of the esteemed club means that having Carew's signature is a must. Fortunately, Carew is a frequent participant in autograph signing appearances making it easy for collectors to obtain his signature. 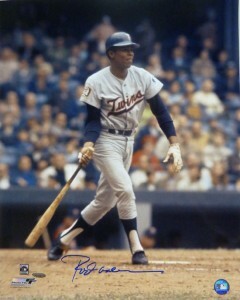 Rod Carew made his major league debut at the start of the 1967 season. He would go on to be named the American League Rookie of the Year. Carew made his first trading card appearance in 1967 Topps Baseball. The card was double-printed, making it an easy find at the time. 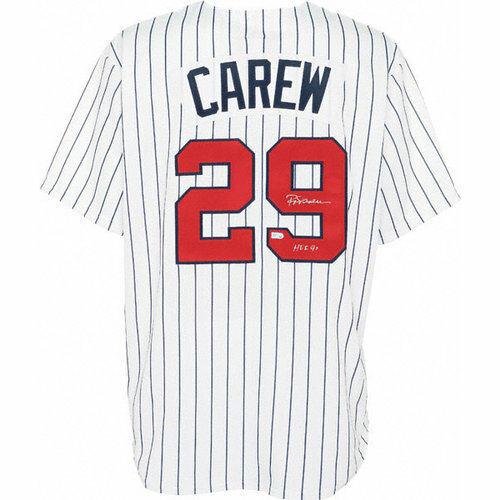 The Minnesota Twins also issued a Carew card as part of their team-issued set. 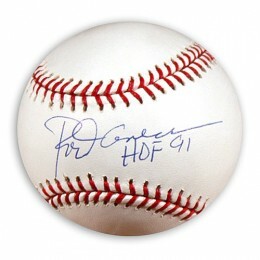 Carew's first certified autograph card was released in 1997 Donruss Signature Series Significant Signatures set and is serial numbered to 2,000 copies. His first memorabilia cards would come a few years later, most notably in the Upper Deck Piece of History release. He has a total of four cards as part of the 3,000 Hit Club insert set. A game-used bat card and a jersey card each have print runs of 350. A card with both a bat and a jersey swatch is limited to 100 copies. However, the most popular Carew card from the set includes not only a bat and jersey swatch but also an autograph. It is limited to 30 serial-numbered copies. 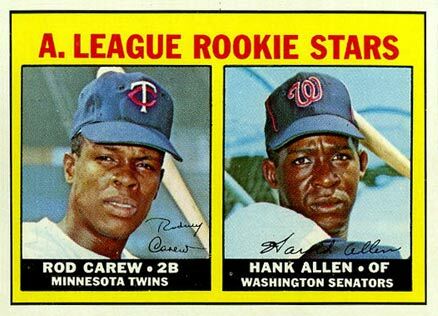 Rod Carew shares his rookie card with the Washington Senators rookie Hank Allen. The bright yellow border and red lettering provides a striking contrast. The facsimile signature adds a nice design element, while the vital information of the player's name, team, and position provides all the necessary detail. Being a high number, it's a relatively pricey card compared to similar players from the era. That said, it's not terribly expense when you take into account his Hall of Fame status and the age of the card. 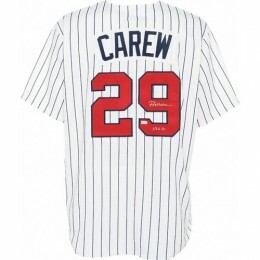 ROD CAREW JERSEY CARD! NUMBERED 29 200, HIS JERSEY NUMBER 29! HALL OF FAME! Below you will find an example of what Rod Carew's authentic signature looks like. This can be used as a first point of reference for determining the legitimacy of autograph memorabilia, but is not a substitute for having your items authenticated by a well-respected professional autograph authentication company. Some of the trusted sources within the sports memorabilia market include the following companies: PSA, JSA, Steiner, Mounted Memories and Tristar. Click on any of the images below to view full size photos. A fairly easy autograph to discern by letter. The "R" has a bit of a flat top and a small tear drop loop to the left. The pen stays on the item as it flows into the "o" which is almost closed, the letter "d" is formed with a loop for the vertical. The "C" has a distinct hook to it at the top of the letter. The remaining letters flow smoothly with the "a" being angular and open. The "r" resembles a cursive "n", the "e" consists of a small line looking more like an "i" which is not dotted. The signature finishes with the "w" which has the required dip and are equally spaced apart.